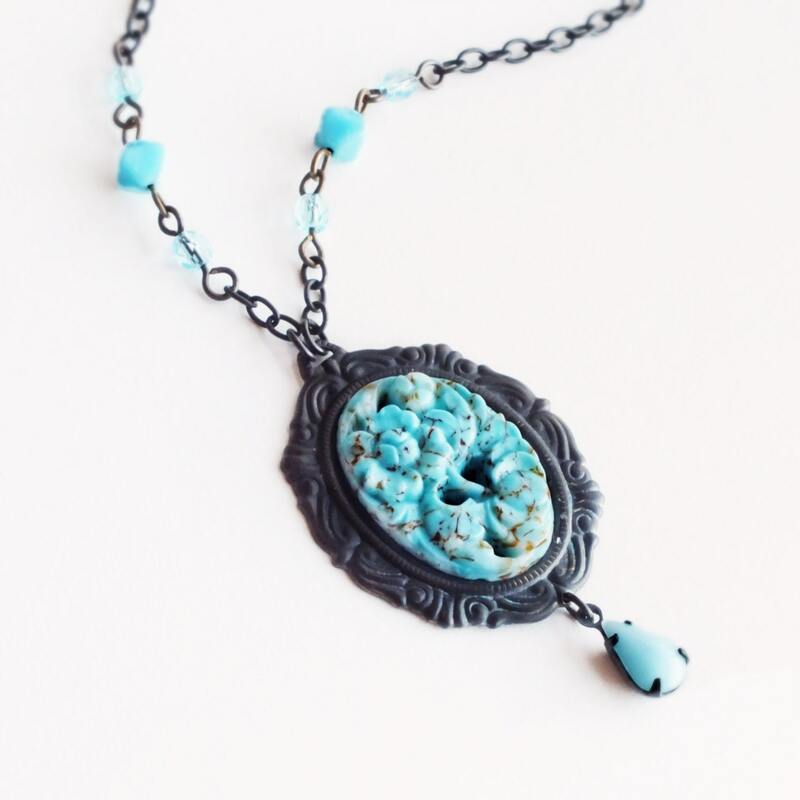 Handmade turquoise pendant necklace with large vintage floral glass cabochon. antiqued brass settings and chain. 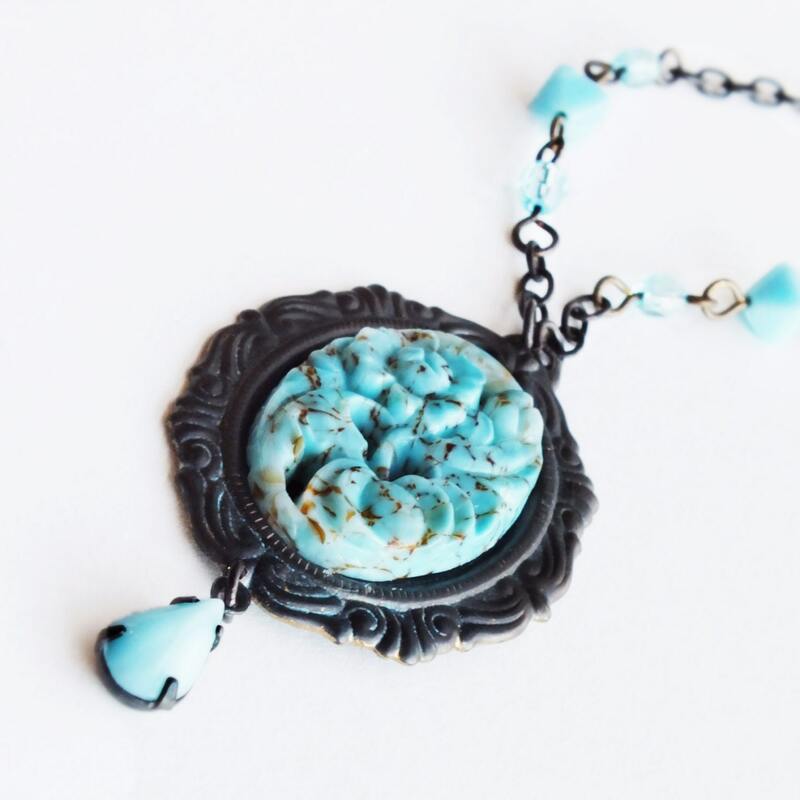 Made with a beautiful genuine vintage glass cabochon made to look like carved turquoise complete with subtle brown 'matrix'. 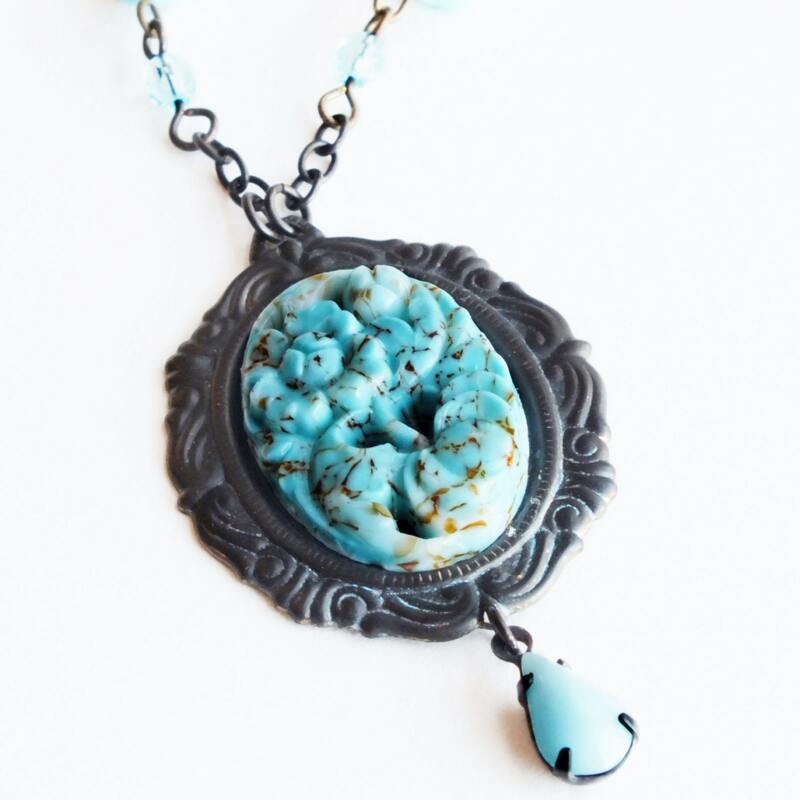 It has a beautiful open-work abstract floral design. 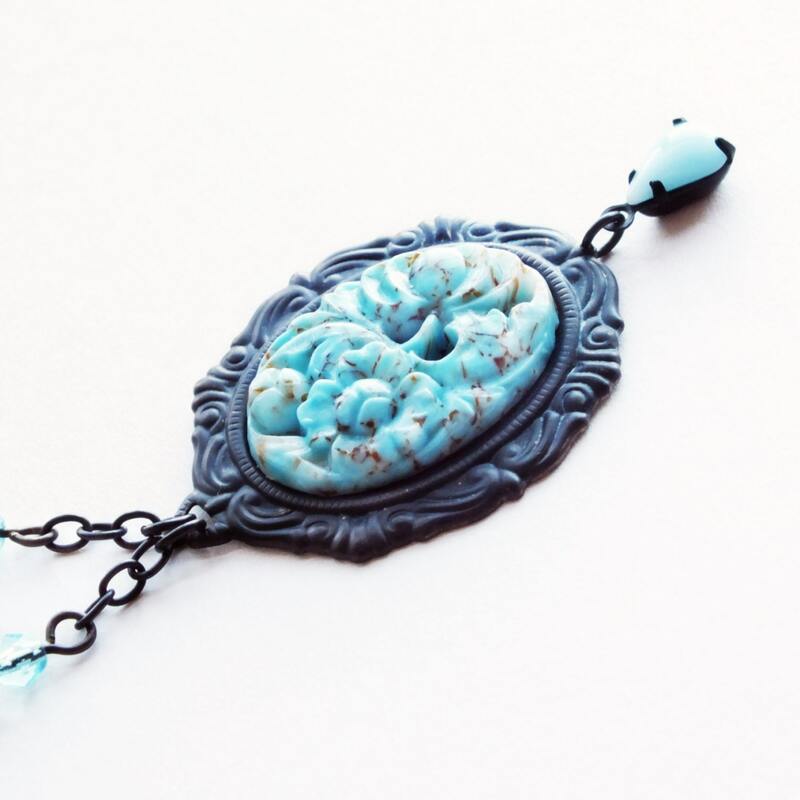 I set it in a dark weathered brass Rococo frame for maximum contrast and adorned it with a pale blue glass rhinestone dangle. 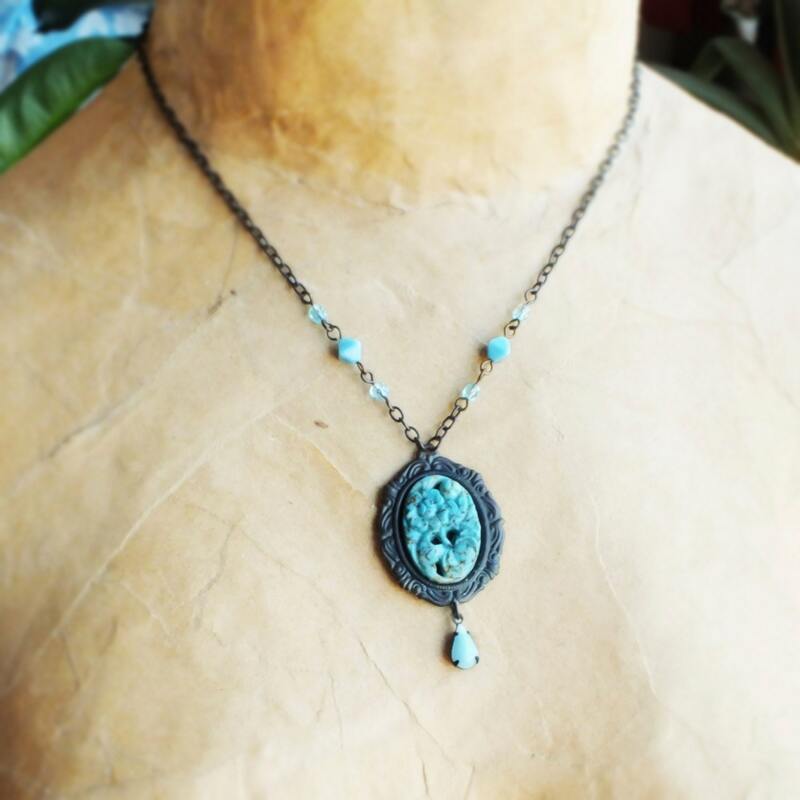 The chain features opaque sky blue Lucerna bicone beads and tiny clear light Sapphire faceted glass beads for a hint of sparkle.